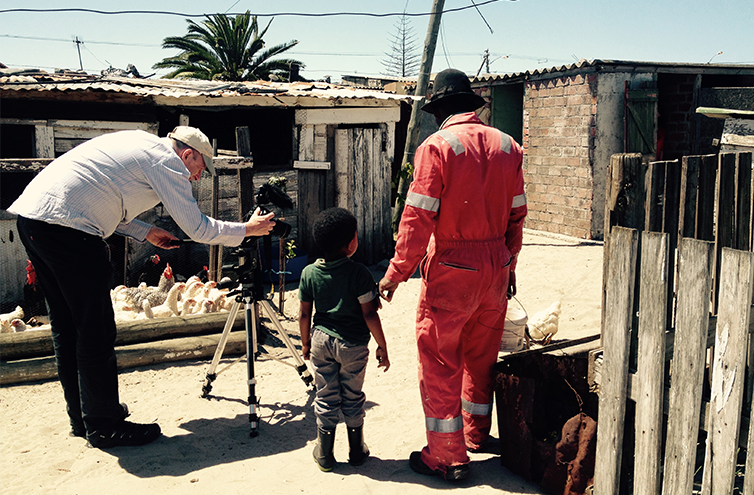 Manelisi Mapukata is an urban farmer living in Gugulethu, Cape Town. He inherited the plot that he cultivates, and lives on with his wife and three children, from his late father. He also inherited his love for farming and a lot of his farming knowledge from his father. 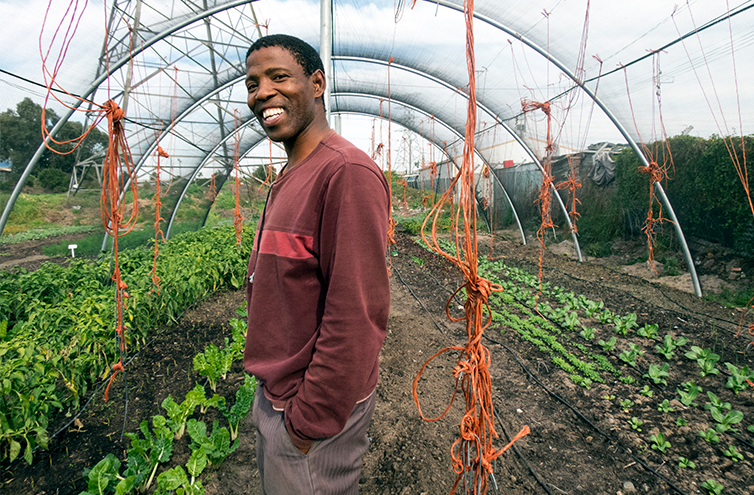 We met Manelisi and decided to help him to reach his life goal of owning a bigger plot of land and having a successful farm to use to supply his local community with organic vegetables. 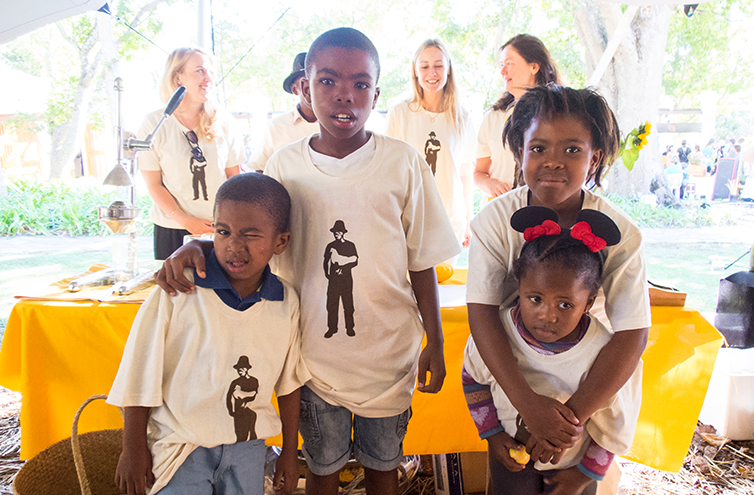 He also wanted to use his farm to educate the youth in his community and give them an alternative to a life on the streets. 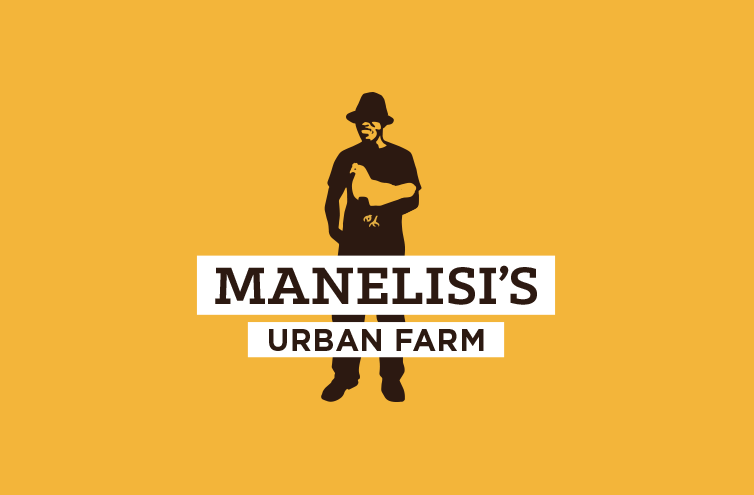 We branded Manelisi’s Urban Farm to give it a presence, and helped him raise funds for a gardening tunnel. 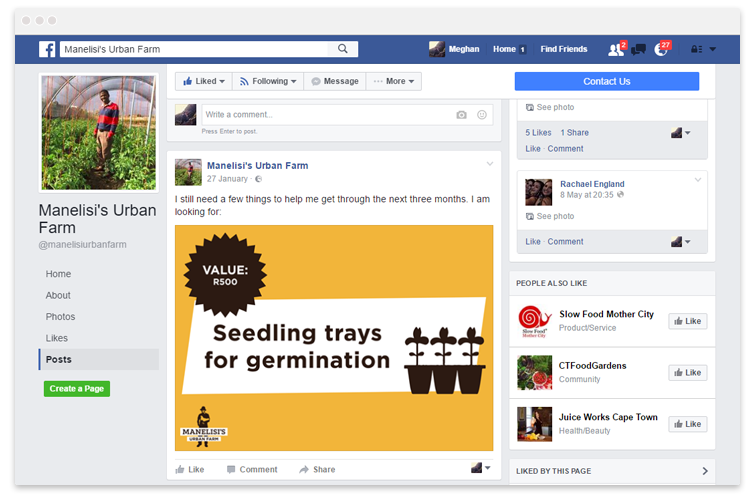 Over the past two years, Manelisi has set himself up and now sublets a large plot of farm land near his home. 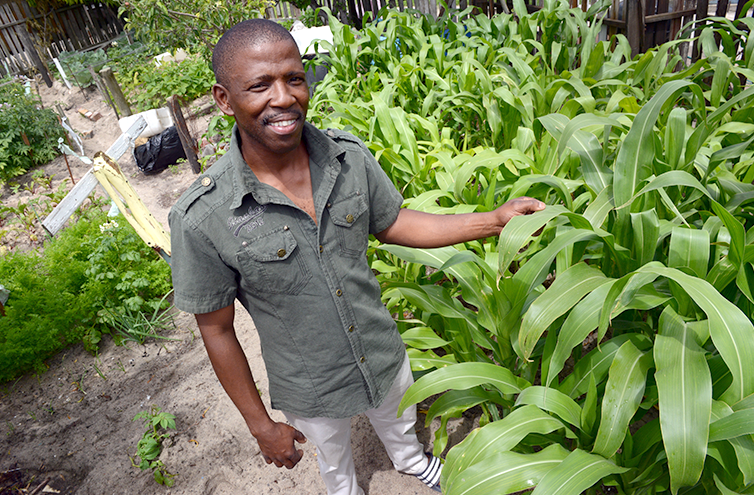 He has a successful gardening tunnel and has started to supply his local community with organic vegetables. He also supplies Harvest of Hope with vegetables. 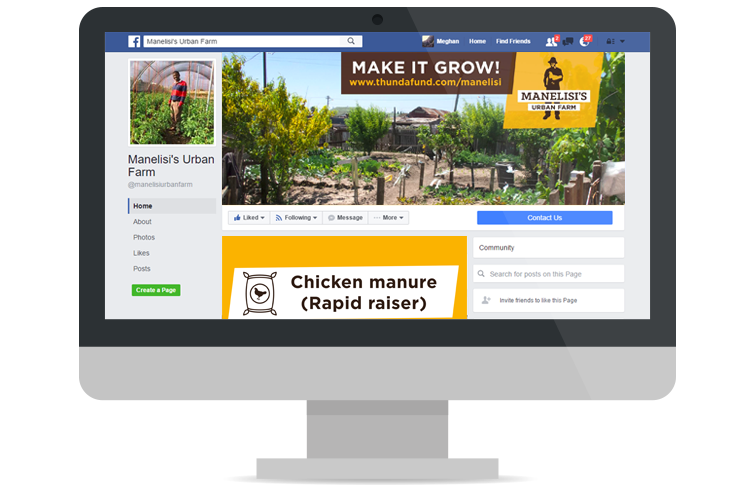 Manelisi has many more steps to take to achieve his complete dream and to be completely sustainable. If you would like to offer support, please contact us.